Photography Equipment Reviews, Photographers, Projects, and things of interest from the portrait photographer to the outdoor photographer. 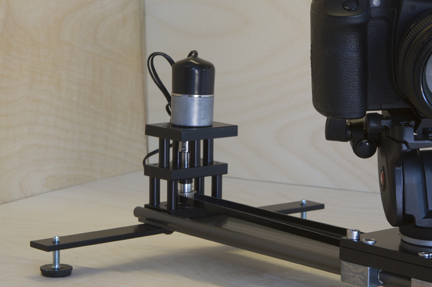 Maximizing your studio space with column stanchions and super clamps. The Studio Set Up from Anthony Zeh on Vimeo. Many people have little studios in a bedroom, as I do. The problem I kept having was lack of space. My room is 12x11, more like 10x9 when you figure your tripods and light stands can’t get in close to a wall. Not very big for a studio, but doable. I really wanted more space, but knocking down walls was not an option. So I set out to look at the problems and how to solve them. The biggest problem was tripods and light stands can only get in about a foot from the wall and 2 feet in from a corner. If I could get lighting equipment and cameras up to the wall, I could gain back about 2 feet in useful space. Also I hate tripping over the legs of tripods and light stands which is a problem in a small space. These were the problems I set out to solve. I have only 8’ ceilings so I decided to find a way to work with that. I figured I could hang something, but the mobility of equipment would become an issue. Then I thought of something I had seen as a contractor, which were supports for creating barriers for remodeling. They were expandable stands that went from floor to ceiling. With this I could add a Super Clamp and I could solve both of my issues. I could get my lights close to the walls and even in the corners. And no more legs to trip over. This allowed more options and lots of possibilities. For a small cost I added about 46 square ft of usable space to my studio in a room that is about 136 sq ft. That’s tremendous. Depending on how many you use, just one stand set up will run you about $50. I got 6 for my space to offer the most versatility. Most people could work with just 3. I bought these less inexpensive Super clamps for $20 ea. The Monfrotto ones are very nice, but at about $35 each, I opted for the $20 version. They are still solid units. The safety catch on them are not that great, but I have not had any issues. For the Stands I used the ones below from Haul-Master. I wouldn't hang anymore than about 15 Lbs of equipment on these, but they are stable. They will extend up to 114" or 9.5 ft. Best deal for the Support Bar. Depending on your strobe or lighting heads you may have to get longer studs for you Super Clamps or use a Umbrella holder to make the room for your light head. If you use these Haul master Supports, do not put too much pressure. You may damage your ceiling or break the handle on the support. Just make in nice and snug between the floor and the ceiling. No need to push up your ceiling. The ratings on the supports are mixed, but My feeling are they are stable for the use of light stands, just don't put your strength into tightening as you can break something. For my crossbar I have a monfortto I bought years ago but for a decent inexpensive one I found a 10' one similar to what I use, see below. For my white vinyl seemless I bought the following and and used Gaffers tape to attach it to a ABS 2"tube from Home depot. It is not attached to the cardboard tube it comes on and the tube is not great for support. Camera Setup is a cross arm with a lap top stand. Any ball head or pan head with a 3/8" screw will fit. **Note: I did have to modify one of the Super Clamps to make this work. I drilled out the center hole on the clamp with a 5/16" drill bit and tapped the hole with a 3/8" tap. These can be bought at Home Depot for about $10. I am always looking for improvements and alternatives to equipment out on the market which can provide as good or better results than industry standards. The Scorpion plate is a full adjustable DSLR rig which can give you many options to your video filming needs. I like being able to change configurations on the fly and I like I can use it in a host of applications for my video/film work. The system is based upon a plate with a number of threaded holes on all sides to allow a variety of attachment points which you can add the popular magic articulating arms. With the plate you just add a Monfrotto 577 quick release or the Calumet compatible equivalent, if you are looking for more savings. 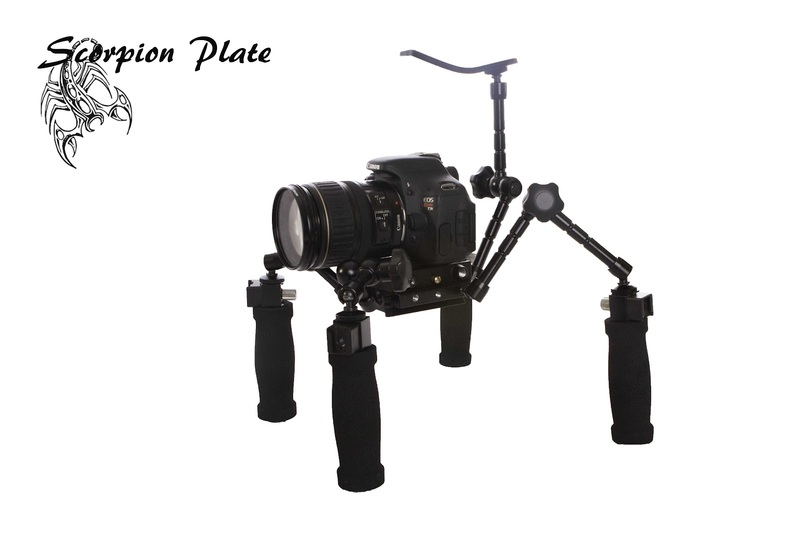 The unit can use the shoulder brace for more stability and you can easily make it compatible to slide from one rig to a tripod using Monfrotto video heads. Scorpion Plate - PhotoZblog from Anthony Zeh on Vimeo. If you like this design you can always go with a similar design by Cinevate which has a system which is nice, but too costly for me. For just over the cost of the base plate of their Simplis release plate, I built this whole system. One of their nice adjustable arms runs about $110 compared to an articulaing arm at about $25. Currently this is just a concept , so not available in stores or online. If this is a product people would be interested in, please drop a response. I always enjoy the workshops at CreativeLive. What could be better than a 3 day workshop for free? This time it's on the new Lightroom 4 software which is now running at half the cost of what Lightroom 3 was. So for $149, you can have a new professional photography cataloging and adjustment software with a 3 day workshop to boot. As someone who has used Lightroom for a number of years, I look forward to the upgrades. I thought I would stick with Lightroom 3, because it does everything I need it to do. But I hear Lightroom 4 does it better. I am planning to follow the workshop with a trial version to make sure it is worth the upgrade, but from what I hear, it is. This work shop at CreativeLive.com will be taught by Laura Shoe, a blogger, instructor, fine art photographer and Lighroom certified expert. This is a fundamentals class, but being a new version, I know I will learn something of the new software. Any course I have watched on CreativeLive, no matter how well versed I am on a subject, I always learn something. Everyone can bring something new to the table with their personal experiences and variety in workflow. These courses are always free for the first three days to watch the video stream. And if you want to purchase the video's they are at a discount while the steam of the workshop is going on. This one is $79 for the discounted price if you want to order the videos, then goes up to $99 after the weekend. I have purchased about 6 video workshops in the past do the invaluable information. So check out CreativeLive and the Lightroom workshop coming March 29th starting at 9 am. Also track other creat workshops at the CreativeLive Calendar. **UPDATE 31 Jan 2012 - Update images below with new Logo and black risers - Finishing video to get on Kickstarter this weekend! 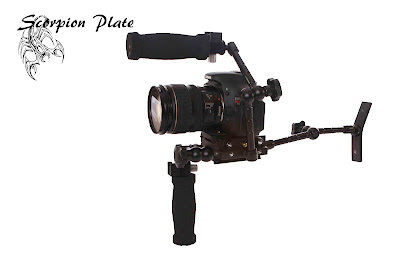 Z Slider - Bolt on camera slider drive kit from Z Photo Systems on Vimeo. Z Slider System - Customizable, bolt on system to give Dynamic Motion to video. 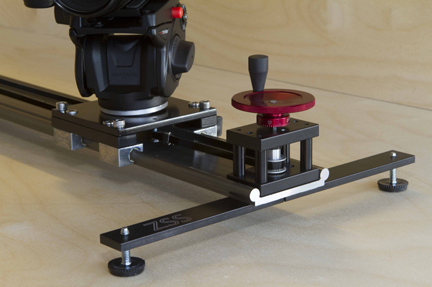 When you are ready to upgrade to a drive system to have more control over your camera motion, the Z Slider system will allow you to bolt on a hand crank system to your Igus rail. The goal of the system is to allow an upgrade for about $300-$350. 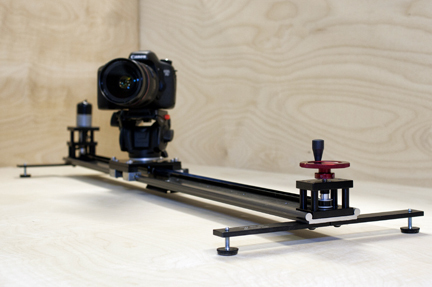 This would put your slider system in at $430-480 for a belt drive slider for your filming needs. 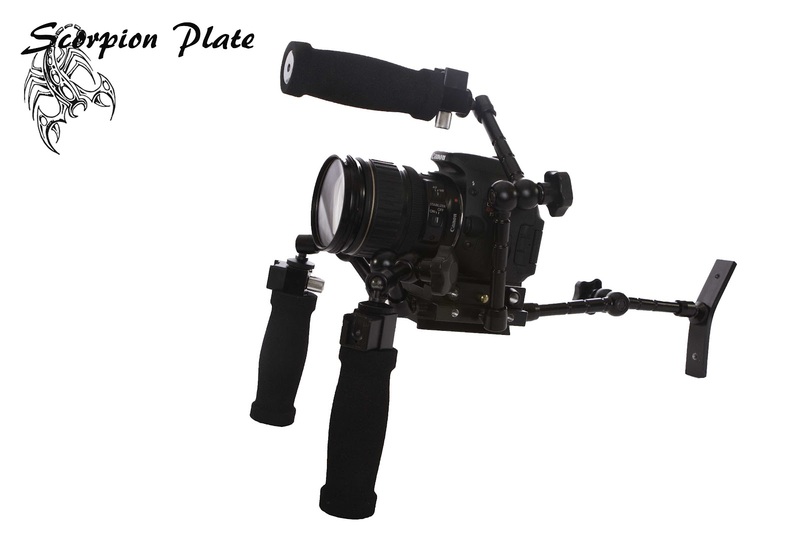 The bolt on kit will include, the end blocks with hand crank and gears, legs for your slider, a new mounting plate for your camera head, pre-drilled with a 3/8” mounting screw for your camera head and the belt. They also will offer belts for different length tracks, but the 40” rail belt is standard. 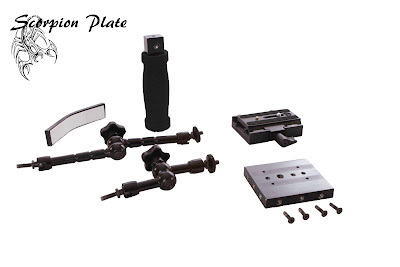 The bearing blocks and legs are all machined 6061 aluminum, fabricated in the US. That is one of the least expensive systems, for a customizable system, which you can afford to build one step at a time to your needs. Not a system that you have to but all at once. Not a system that limits you to only the company's own equipment, and it offers you flexibility. With this rail system, you just bolt on to the pre-drilled Igus rail. 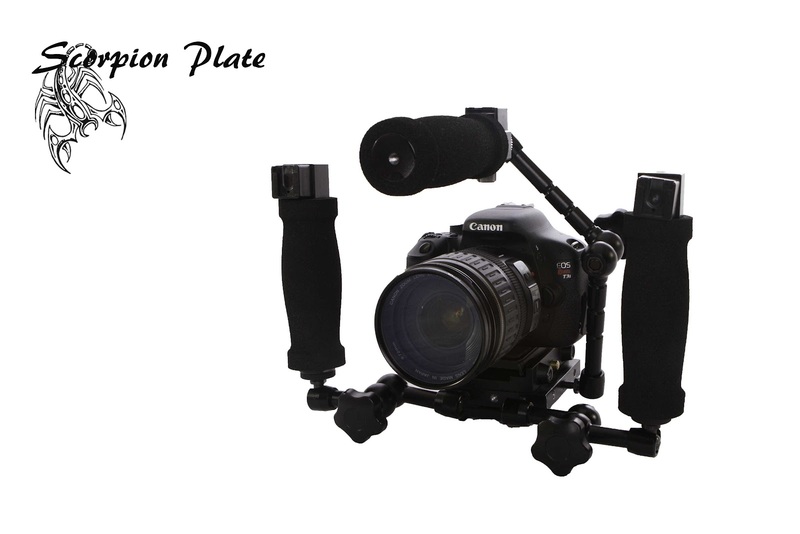 Replace the slider plate with the new Z Slider plate with risers, and attach the belt and tighten the belt tension unit and crank away. On the inside track, Z Slider still working out the final phases of production. The plan is to make it available on Kickstarter to help in raising production cost, to make it available to the public. The Kickstarter campaign is set to start around the 15th of Feb. If you are interested in this system, help get it funded. You will be able to help by making contribution, for about $10, for which you will get a Z Slider lens cloth. For a bit more you will get a standard system. And you will be able to get an upgrade system with a motor mount, which will also be available. If this is not in your budget at the moment, but you would want this system down the road, think about the $10 donation to help them get into production. 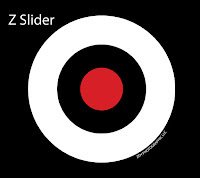 Z Slider Lens cloth with every order. Check back here for the KickStarter page, future updates, and any other information we can throw your way. 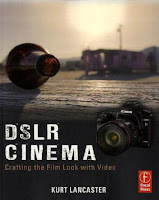 Books to self educated about film, cinematography and DSLR's. 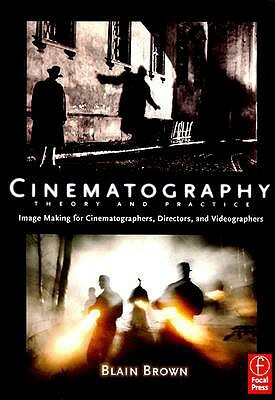 5 Books to check out if you are looking to learn cinematography techniques to build your creative eye or want to learn how to maximize you DSLR and the equipment you need to create great digital films. I have been on a fast track trying to learn and grow my digital film abilities. I don't even want to say video, as this is looking forward to a cinematic look in what I want to create. A video is a straight shot with no adjustment to create a feel. These books can help that feel by showing how to work through the process and how to use your equipment to get what you want. 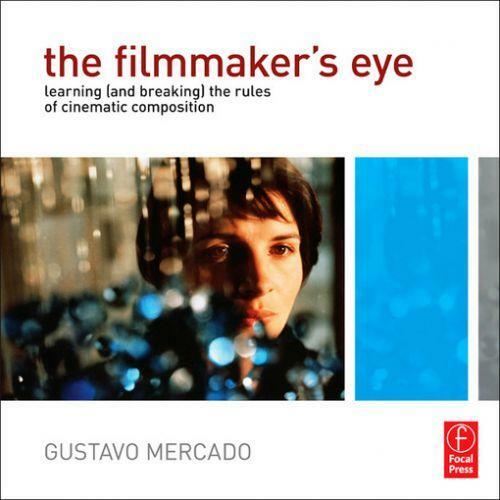 This book details composition used in cinema based on shots from close up, medium, long, to canted emblematic, and abstract to name only a few. They then cover how to break the rules of all those shots. It also covers when to use things such as a steady cam, dolly, or crane to emphasis a scene. 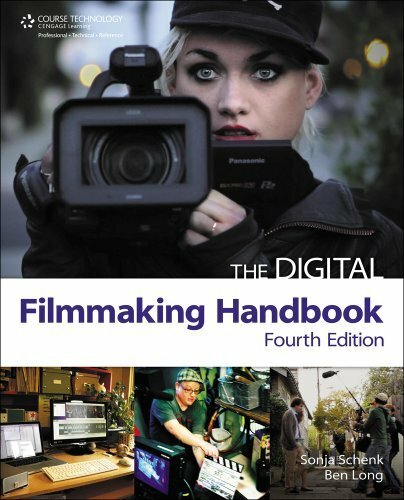 This book covers what you need to know as a cinematographer. Things like what lenses to use, exposure composition, lighting, color, to the elements of story structure. A great book to learn about visual language and visual storytelling. This book also covers many technical aspects of the camera and lighting. This is a great book for the person just beginning to dive into Video/Film with a DSLR. This book was my starting point. It drops you into the pool covering composition, lighting, picture styles, audio, and even building you gear based on a budget. This book covers a lot of gear, but on the downside, in a year or so, with all that is changing, this could be outdated as it can be gear specific down to brands. This book cover everything from writing and scheduling to planning a shoot, to editing gear and software into editing sound, creating titles and effects. This book is not software specific in regards to editing, but rather about techniques you can use to achieve a great look in your filmmaking. 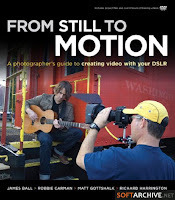 This book is also not camera driven in regards to just a DSLR. 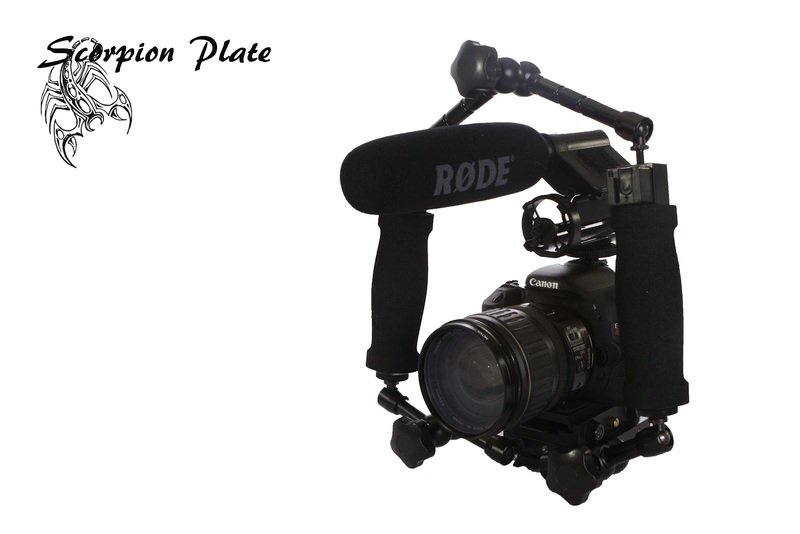 It covers a variety of video camera solutions. 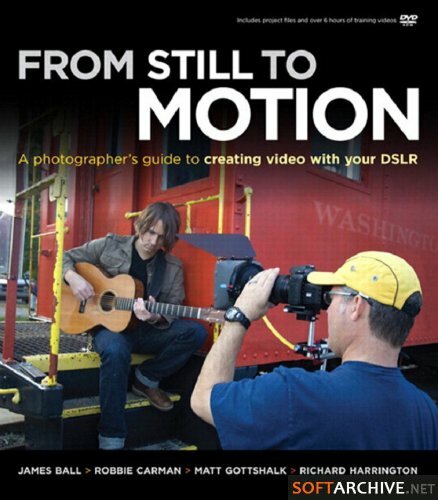 This book is great for those moving from a Photographer to a video roll. It is geared toward the photographer and the DSLR. The book is simple broken up into 5 parts: A new way to tell a story, Cinematic lighting, gearing up for motion and sound, post production, and creative explorations. The book seeks to show you how you to look differently at the situation from photography to achieve the goal of film. Since you are not lighting for a single moment in time, but rather a extended amount of time while things in your composition change. 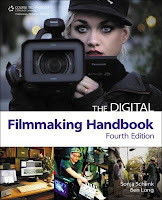 I recommend checking these books out at your local library or bookstore to see what will fill your needs for moving to a better understanding of digital film. 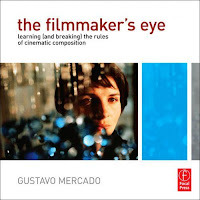 If you have other books you would recommend for film, video and cinematography, for those striving to expand their scope, please leave them on our comments. Had some request to see my rig in action, and what it looks like up on a shoulder. I have since added a follow focus and have a couple of additions coming up. I just ordered some carbon fiber rods to replace the fiberglass for a stiffer feel. Also adding a couple more sickspeed clamps to strengthen the connection from the camera mount to the shoulder mount. It holds up fine but I want to make it a bit more rigid. Rig components include Canon 7D, Matte Box, LED light, Tascam DR-40, and Lilliput 668GL monitor. Shoulder rig build videos. The build for the Friction follow focus was designed around the IKAN friction follow focus which runs about $199. Mine was about $50 at most. 4.5" piece of 1"x1/8" alum. 2" piece of 1" x1" alum bar. Please leave comments or questions below. If you build your own rig, please share your link here! Thanks! I am always looking for more affordable alternatives, if they can be found. I found one to the Zoom H4N, that suits me fine. 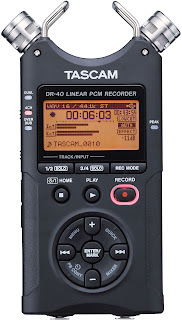 The Tascam DR-40 is a great little Linear PCM recorder. Like the H4N the DR-40 has 24 bit quantization and 96kHz sampling frequency. The DR-40 can be recorder to better than CD quality with WAV files down to MP3 file for longer recording times. Also like the H4N you can upgrade your card to 32GB for extended recording time. The DR-40 has a Lowcut filter to reduce any background noise from 80-120Hz. 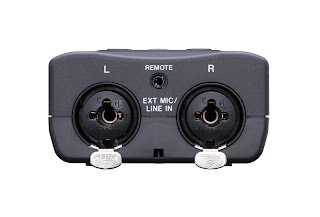 With inputs like the H4N you can plug in standard 1/4" phone connectors or XLR cables. I like this feature for weddings as I can just ask the DJ to plug into his mixing board to record anything happening from music to the speeches given by the best man. The DR-40 also offers phantom power if you need a little power running to an external mic you might plug in. I also like the X-Y and A-B stereo condenser mics which are similar to the H4N. They allow for recording of a single subject to a stereo sound. Also like the H4N the Tascam has an auto record feature to allow you to record when signals are above a set levels, with auto pause feature and time marks. I also like that you can record at two different levels at the same time to reduce for sound peaks. You can record a second channel at up to -12 db in Dual channel mode. If you are a musician and you have a choice between the H4N and the Tascam, I would say there are some more features for the Musician with the H4N. However I have found that using the recorder for Video and film work this unit fills all my needs in a digital linear PCM recorder. I am very happy with the quality of sound and the price tag of about $199 compared to that of the Zoom H4N at $299.